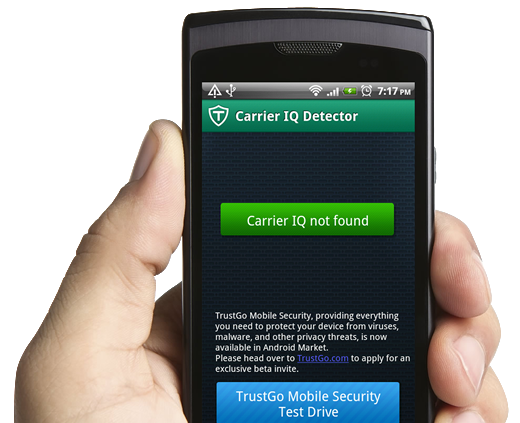 TrustGo Carrier IQ detects the existence of Carrier IQ on your phone. Carrier IQ is embedded diagnostic software that has been pre-installed in over 140 million phones globally. The software is specifically used to track a phone's location, keystrokes, web pages visited, call activity and other information.